For the last few months we have been sending members a link to our accommodation booking website, along with instructions on the best way to find a room to book within the convention block. 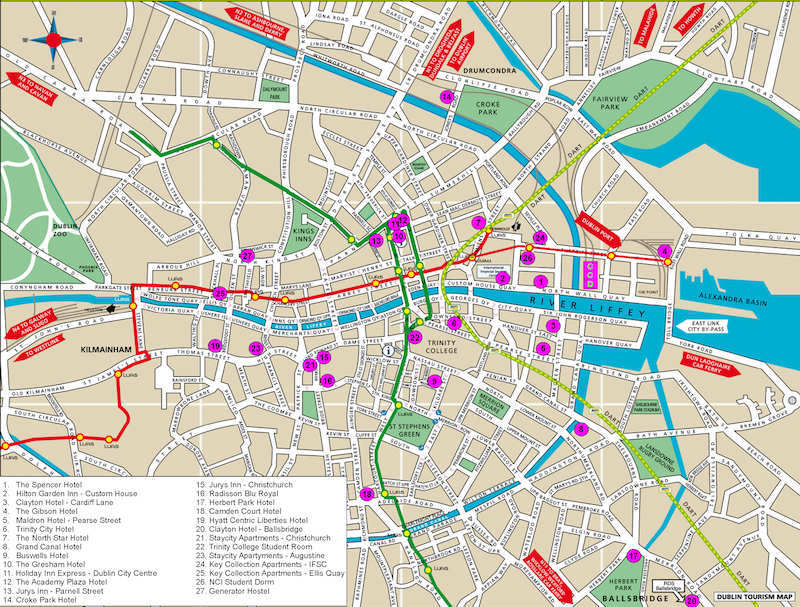 We also have a complete list of all hotels & hostels in our block and an accommodations map. We are now publishing the accommodation booking website link below, but please read this page before booking your room as knowing what to do will improve your experience. The link to our booking website is here, and it will take you to our booking website, where you will be able to make an accommodation booking, or make a change to a completed booking. If you haven’t already created one, you need to create a user account with “Conference-Partners.” Once you’ve gone to the booking website, click on the “Create a new user account” tab and enter your email address and the password you’d like to use. You will need to enter this information twice to prevent typing errors. When all four field are complete click on “Next”. The next stage is to agree the site terms & conditions. These are largely the cancellation policies of the site. Read the page carefully, then click the “I agree to the terms and condition” box and then click on “Next”. The next stage is to enter contact details for the person you are booking the room for. This will usually be yourself, but you can book rooms for other people. Fill in all the required field on this form and then click on “Next”. We have more rooms available for our four core nights (Thu 15th – Sun 18th) than we do on our wing/shoulder nights-nights either side of these dates. So we recommend that you start the search with the Check-In date set to Thu 15th Aug and Check-out set to Mon 19th Aug to see the full list of the rooms which are available. You should then book your preferred room for as long a period as possible, and then contact us at facilities@dublin2019.com to see if we can extend your booking to cover your full stay. There is currently a high probability (though not guaranteed) we can extend bookings for nights within our standard night range, so long as you have been able to book at least the four core nights, and the probability rises the fewer rooms nights we need to add. So please book your preferred room for as many nights as are available to improve the probability we will be able to extend your booking. We may be able to extend outside of this period in some cases, but the earlier the request is made the better as Dublin gets close to 100% booked out. Clicking “Search” will show all our available accommodations, along with the room types and rates of the rooms we have available at that location. If the text “N/A” is listed by the side of the room type – then all the rooms we had of that type have been booked for the period of your search. If the text “Book Room” is listed by the side of a room type – then rooms are still available of this type. To book one of these rooms click on the “Book Room” text and a room of that type will be added to your booking. You can click on “Book Room” buttons more than once to book multiple rooms. You will see details of all the rooms in your current booking at the bottom of the page – be careful as there are some hotels with very similar names. Ensure you are booking in the hotel you want. If you’ve made a mistake click on the “Remove” button along side the room you want to delete. Once you have reserved all the rooms you need click on the “Next” button which will take you to the GDPR consent form – you will need to click the “I give consent” box and then click on “Next.” This will take you to a page showing your contact details and you need to agree once more this is what you want to purchase by ticking the “Agree” box and clicking on “Next.” This is your last chance to edit your booking. You are then taken to the first page of the Payment system where the total amount you will be charged (in euros) is displayed, and where you should select “Online credit card payment”. On doing this you will presented with a form to fill out to enter your card details. Once complete click on the “Submit” button. The full amount will be charged to your card and an invoice email sent to your email address. From this point if you return to this link you can use your user account details to review and modify your booking, including cancelling a booking. But note the monies charged will only be refunded in full up to the 9th of May. If you have any problems with your booking, and Convention Partners is not being responsive, write to facilities@dublin2019.com.